A display stand for holding 1/144 scale and SD Gundam models, includes various adapters and holders to fit almost any 1/144 Gundam kit only! Assembles required! Larger than 1/144 model kits may require larger action base. Special designed for GN Drive Tau-based units from Mobile Suit Gundam 00 and HGUC-100/199. Special Designed for aquatic mobile suits. New Action Base 3 release form Bandai with a new design that you can customize the action base with any postcard-sized photo and insert to the frame. 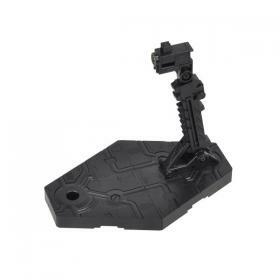 The Action Base 3 is designed primaly for 1/144 HG and RG kit. 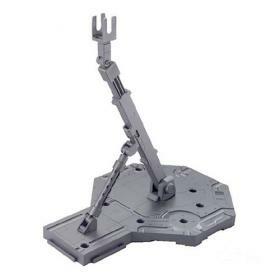 However, the action base also suitable for SD and 1/100 scale kits. [Bandai] MG/HG Action Base 1 Sinanju Ver. The classic display base for all your 1/100 kits, but with a Sinanju twist! This one is cast in an intimidating combo of red and black to perfectly complement the Sinanju! Included a piece of Sinanju Sticker for extra touch up. [Bandai] MG/HG Action Base 1 Unicorn Ver. 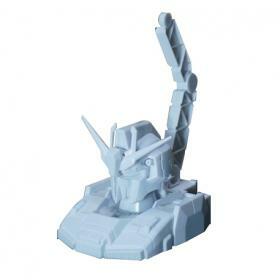 The classic display base for all your 1/100 kits, but with a Unicorn twist! This one is cast in an intimidating combo of white and black to perfectly complement the Unicorn Gundam! Included a piece of Unicorn Sticker for extra touch up. As the Interior, in conjunction with the Gundam ...! Chara stand plate series expansion start! The main character center in one after another to line up scheduled to appear in the works! The number of parts is small and anyone easily assembled! Replacement of the character sheet portion is also easy! Decorated also possible to the original display preparative by replacing the character sheet that was arranged by yourself! It can be enjoyed in the 2 pattern display of! To decorate in combination with further favorite character of Gundam, of course, also be arranged his room as the interior! NOTE: Adapter is all 8mm in size. Larger 1/144 model kits may require the larger Action Base 1 for 1/100 models. - Enjoy the endless! You can enjoy even in combination with the Gundam as an interior! The display your favorite character to your room. 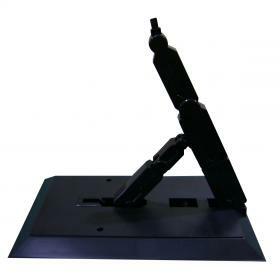 It can be enjoyed at 2 pattern of wall-mounted and stand by using the supplied stand arm. It can be used as a further action based! - It has become a plate structure, since only fitting, assembly is easy! Suitable for 1/144 and 1/100 scale kit. Can play as a shield accessories. Suitable for HG, RG & SD kit. Come with 2 stages and expandable. Suitable for Small Size Model Kit (1/144,SD), Figma, One Piece Ship and many more. Runs on Solar Power. Estimate 10sec/rotation. 1 AA Battery is required for smoother spin. 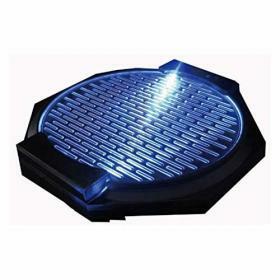 The length of the transparent base is 87mm. Action Base 5 is designed for 1/144 scale Gunpla kits, as well as SD and character figures. 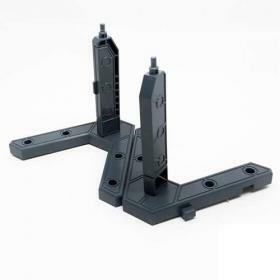 An improvement over the Action Base 2, each set consists of one hexagonal platform, one short support arm, and several connectors for different types of kits. The Action Base 5 can also fit some light weight MG kit. 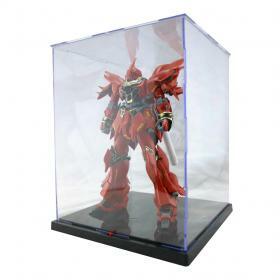 - Display the gundam with the diver mood! - [Gundam Build Divers] appears in diver gear as display base. - It corresponds to 1/144 Gundam. Using clear parts, reproduce the image in the play. 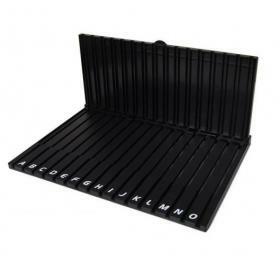 - Various joint parts and supporter parts are included. It is also possible to reproduce in the play such as funnel launch depending on the recombination. - It is also possible to simultaneously display Gundams of HG body. - To the specification which can be assembled without the driver.